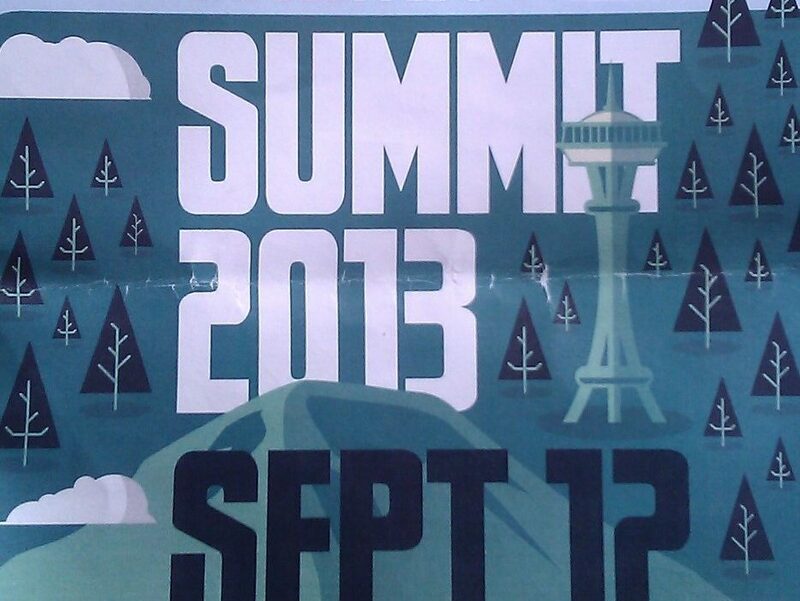 We recently attended the GeekWire Summit to learn about the latest trends in technology development. GeekWire is an independent news site and online community covering many forms of innovation coming out of the Pacific Northwest. The Summit included conversations with people from organizations as diverse as Microsoft, HBO, DoubleDown Interactive, Zillow, Bloomberg BusinessWeek, Chase Jarvis photography, a venture capital firm, Code.org, and various startups. During the event, we heard many visions for how technology will evolve and affect the user experience. As we listened to their ideas, we realized these developments will have important implications for the world of marketing research. Consumers now access content on a variety of screen sizes (phones, tablets, laptops, large monitors and TVs) and the user experience has to be scaled correctly for each. Research Insight: Any online research from surveys to qualitative platforms needs to be served up in a variety of sizes. Consumers should be able to participate on their time and with the device they choose. There will also be a growing segment of consumers who do not own or frequently use a desktop or laptop so mobile research platforms will need to be increasingly powerful. The video game industry is pioneering new experiences through the use of virtual reality headsets (Oculus Rift), controller-free play (X-Box Kinect), and devices that project 3D experiences around the room (Microsoft IllumiRoom). Research Insight: Innovative gaming technology can be used to create virtual environments to test the effectiveness of retail experiences, architectural plans and signage, and even interior vehicle configurations while they are still in development. Millions of people are now playing casual games on phones and tablets. Most of these games are free to play or paid for in very small increments. Research Insight: Casual games can start to incorporate brief questions or research exercises as a way for consumers to play for free, similar to the way Google Surveys allow people to “earn” additional content. If developed creatively, these in-game exercises can come across as fun games within a game rather than unengaging tasks or questions. The technology industry is very focused on the mobile experience. As an example, one venture capitalist said he shows prospects the door if their pitch cannot be viewed on a mobile device. Research Insight: As the mobile experience becomes increasingly important, researchers need to understand the environment in which the user will be operating and how the on-screen experience fits in with their real world experience. Developers of traditional media content are considering the role of the second screen in the overall entertainment user experience. For example, viewers of Game of Thrones can access detailed maps, character bios, and other content on their tablets as they watch the show on TV. Research Insight: People interacting with a device while they watch TV or movies provides an opportunity for researchers to engage specific target audiences through those devices. Researchers can target questions and exercises that relate to the content the individual is viewing and thinking about at that time. Offline retailers are increasingly using tablets and other mobile devices as part of the in-store experience. Research Insight: In-store mobile technology will give retailers the opportunity to capture much more data on their shoppers and provide more unique and customized experiences for them. Google Glass is still in its infancy but will provide benefits as critical as helping surgeons operate and providing translation services for diplomatic meetings. Research Insight: The future of Google Glass and other wearable technology such as smart watches will allow for better translation in global projects, make mystery shopping and ethnographic research more meaningful, and allow clients to see insights by better experiencing what life is really like for their customers. Note: Our friends at Killer Infographics designed the brochure featured in the picture at the start of this post.